The Orthodox Church of the Ascension in Rugby, Warwickshire, provides a place of worship in English for Orthodox Christians of all ethnic backgrounds, as well as for non-Orthodox Christians and others who are interested in the Faith. Parishioners are from various backgrounds including British, Greek, Ukrainian, Romanian, Russian, Latvian, Coptic, Byelorussian, Serbian and Bulgarian. Services are in English, with some parts (e.g. the Lord’s Prayer) additionally recited in other languages. The parish is part of the Archdiocese of Thyateira and Great Britain, the largest Orthodox diocese in this country, and part of the Oecumenical Patriarchate of Constantinople. The best way to learn more about our community is to come to our church and join us for one of the services. 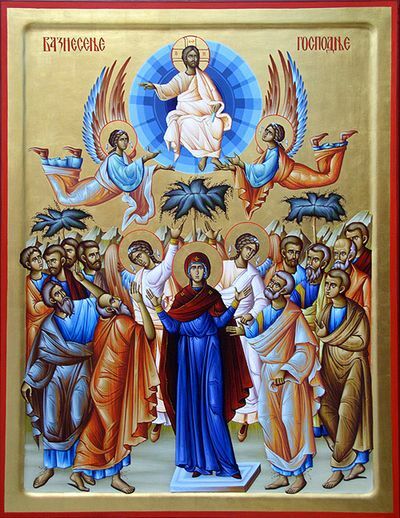 The Orthodox Community of the Ascension and St Chad is a Registered Charity – number 1122061. Orthodox Christians aged 18 and over may become members of the Community. Click here for a membership and Gift Aid form.